2. Perform a search for "vmware horizon view client". 3. 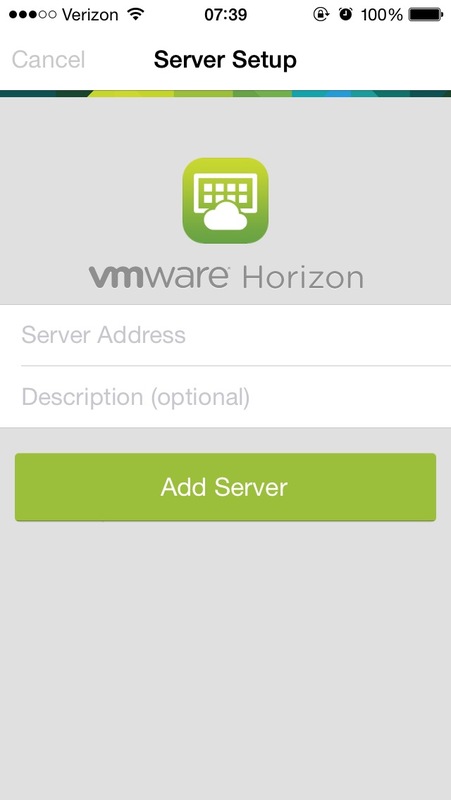 Tap the "Install" or "Get" button next to the VMWare View App. 4. Once installed, launch the application. You will be prompted for a "Server Address". 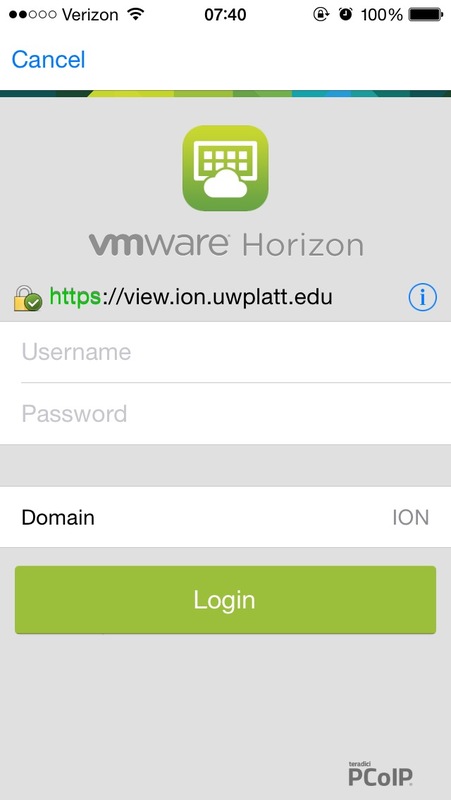 Enter "view.ion.uwplatt.edu" and tap "Add Server". 5. Enter your campus username and password. Then tap "Login". You will be presented with a list of desktops that you have access to. To open a connection to that desktop, tap on the icon.